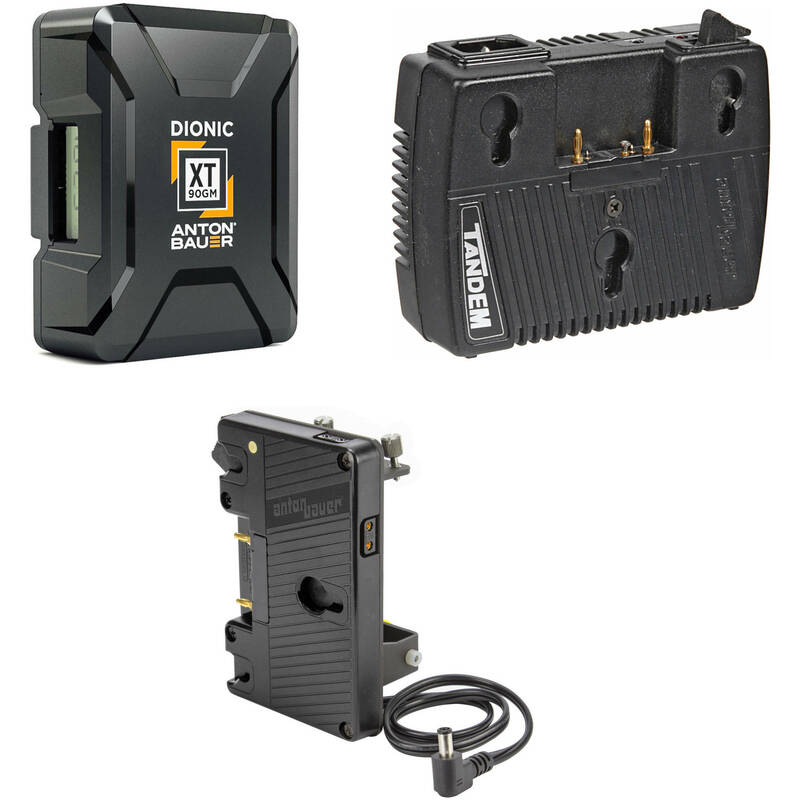 Provide long-lasting AC or DC power for your Sony FS7 camera and select accessories with this Dionic XT90 2-Battery Kit with Tandem-70 Charger & Sony FS7 Plate kit from B&H Photo. This kit includes two lightweight Gold mount Dionic XT90 batteries and the Tandem-70 on-camera AC power/charger. The included QRC-FS7 Gold mount plate outputs power to both your Sony FS7 and to select pro-style camera accessories via its two D-Tap ports. The QRC-FS7 Power Solution from Anton Bauer is a battery plate and bracket combination that allows you to power your Sony FS7 camera with Gold Mount lithium-ion batteries. Using thumbscrews at the top of the bracket, the QRC-FS7 attaches directly to the rear of the FS7 chassis, creating a unified power/counterweight solution. It connects to the FS7 via an integrated 10" cable with a dedicated barrel connector for the camera. It also features two P-Tap ports so you can run an entire setup using a single battery (not included). The QRC-FS7 is designed for compatibility with lithium-ion batteries only. Note: This plate is only compatible with lithium-ion batteries. Box Dimensions (LxWxH) 7.9 x 4.15 x 2.95"